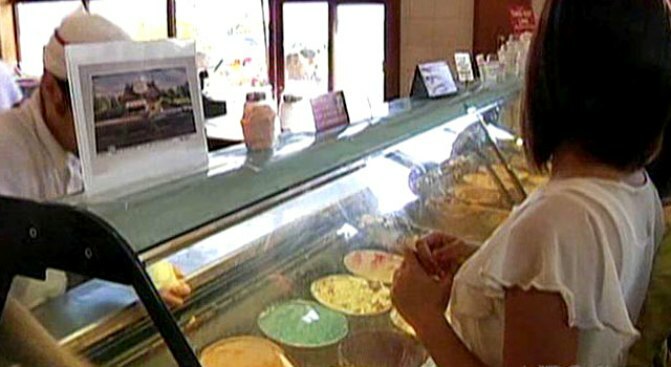 Fentons Creamery is giving away ice cream to customers who show a ticket stub from "Up." We all scream for free ice cream -- thanks to Pixar. The wildly popular Pixar movie "Up" features a Bay Area ice cream shop, and that store is now raking in the money. Fentons Creamery on Piedmont Avenue in Oakland has never seen this kind of free publicity in its 105 years in business. So, the ice cream shop is offering a free petite ice cream for anyone who comes into the shop with a ticket stub from "Up" the movie. Some are calling it Pixar's own stimulus package for Fentons. Someone at Pixar, which is located in nearby Emeryville, must really love those massive banana splits.